Before getting into the preview for this weeks game there are two news stories to check out. First is for those interested in the ratings of our players in Madden 13. MHR.com has a detailed article on the ratings. 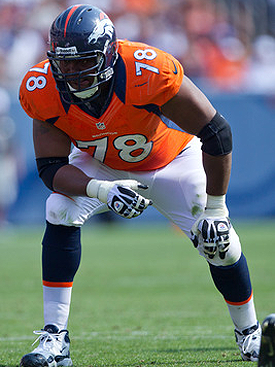 In other news the Broncos made a roster move today. Wide Receiver Tyler Grisham has been waived by the team. Grisham is in his fourth year as a pro after spending his first three as a Pittsburgh Steeler. He was an undrafted free agent and only has one career reception since he has most of his career on the practice squad. 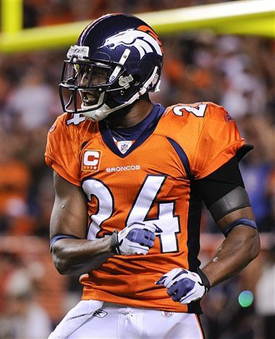 The Broncos will continue to cut down their roster as the 75 man roster cap is Monday. 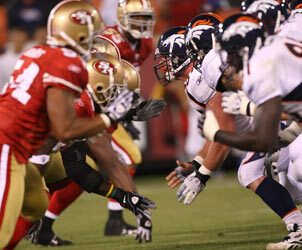 The Broncos third preseason game is at home against the 49ers. This week the first team is expected to play well into the third quarter as this will be their final hit out before the regular seasons starts. Though the first teamers will see most of the field, it should be expected that a few of the second teamers will be rolled in to see what they can do. So what camp battles are we looking for. 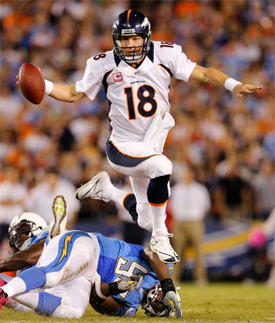 Quarterback is set, Manning is the starter. Who will probably be followed by Hanie. Running Back will be interesting. McGahee will get most of the snaps but the battle starts behind him. 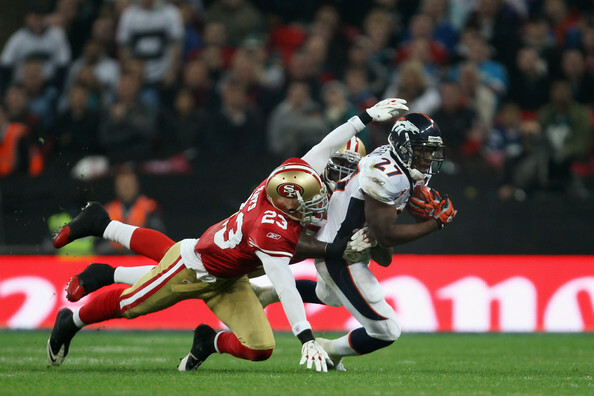 Hopefully one of the other backs can step up and take Lance Ball's spot, I am looking at you Knowshon. Hillman also may see some action. JJ and Omon will get the leftovers. Fullback, will it be Gronk or Sly? Someone needs to impress. Wide Receiver, the guy I would be interested in out of the top 5 is Caldwell. He hasn't had any hook ups with Manning at the moment compared to the other four. Ninja Willis also needs a good game. Tight End, Tamme and Dressen are good. But will it be Thomas, Green or Ingram that takes up that last one or two spots. I would expect one of these guys to see some time with the ones. Offensive Line, the ones are set. Only battle to be following is Clark Vs Harris, can Harris get a roster spot? Defensive End. Wolfe, Ayers and Doom are the top three that jump to mind. Who will be backing them up? Beal, Jackson maybe. Watch this rotation closely. Defensive Tackle will see the return of Big Vick to the line. Vick, Warren, Bannan look like the top guys. Siliga and Unrein are the others still looking to push for a spot. SLB is set with Miller. Personally I would keep Miller out as much as possible and have Irving run around out there. MLB, all on Mays, make a tackle bro. 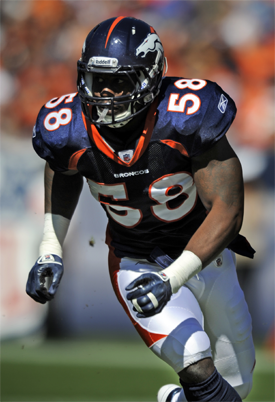 WLB, Woodyard or Trevathan? This may not seem like a close battle but Trevathan has surprised before. At corner Champ and Porter have spots locked down. The battle here is Chris Harris vs Florence. Which of the two are going to take the nickel spot. Safety, It will be interesting to see if Carter plays and with the ones. Of course this would be bumping Adams. But expect there to be a lot of rotation in this group. Leonhard may be out there too. Long Snapper, Brewer or Paxton, there can only be one. Kick Returner? Who is it going to be? 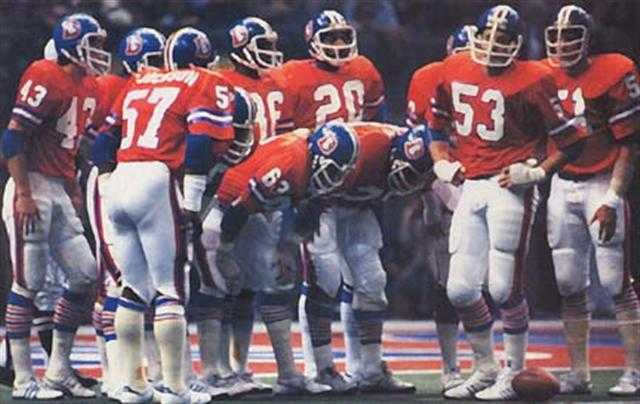 Well that is it from me, enjoy the game and Go Broncos! ~ Aussie.